F1 GP of Australia, Melbourne 26. - 28. 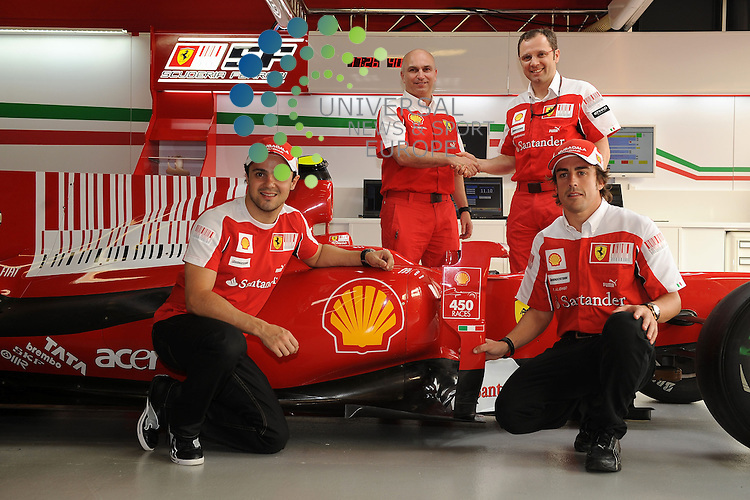 March 2010.Felipe Massa (BR), Fernando Alonso (SPA), Stefano Domenicali (ITA), Scuderia Ferrari Director of the Gestione Sportiva.Shell 450 races..Picture: Hasan Bratic/Universal News And Sport (Europe) 26 March 2010.